Home / Archive by category "Lesser Known India"
After breakfast pick up your packed lunch, and leave for Gaurikund (32 KMS drive-one way). On arrival start your journey on the tough trek ahead. Stop for lunch en route and continue after that to arrive by late afternoon. After freshening up, perform Pooja and also Darshan at Shri Kedarnathji. In the evening also visit Adi Shankaracharya Samadhi behind the temple. 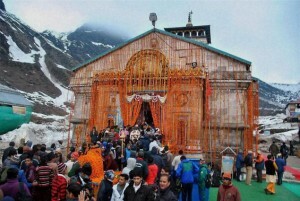 Overnight stay at Kedarnath. After early morning darshan Trek back to Gaurikund approx. 14 Kms and Leave for Rudraprayag by road surface approx 85 kms. Evening reach the Rudraprayag & check in at hotel. Overnight at hotel. Optional- Rudraprayag sightseeing. 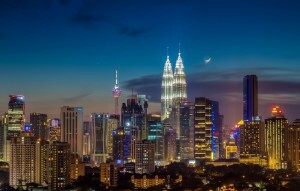 Reach Kualalumpur Airport After reaching transfer to Kualalumpur Hotel On PVT Basis.Check Inn at hotel. Day free for Explore the shopping or City. (OWN) Overnight at Hotel. After Breakfast Leave for Half Day City Tour on SIC Basis. Evening is free at leisure. Overnight stay at the hotel. After breakfast check out from Hotel & transfer to the airport on PVT Basis for your Onward Journey. After breakfast check out from Hotel & transfer to the airport on PVT Basis take a flight from Langkawi at 08:55 Am. Reach Singapore at 10:25 Am. Pick up from Airport & Proceed for Hotel. On Arrival Check inn hotel. Day free at your leisure. 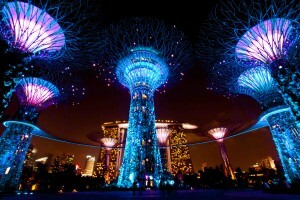 Evening Visit Singapore Night Out Tour (Marina Bay Sands, Garden by the Bay & River Taxi). Overnight at the hotel. Passengers are supposed to reach state government helipad on Sahastradhara Road, Dehradun which is the starting and ending point of this yatra. Our pilots and ground staff will brief the passengers about the entire trip and do’s and don’ts. Early morning reporting at Sahastradhara helipad, Deheradun and depart to Yamnotri (Kharsali helipad. On arrival at Kharsali (The helipad of Yamunotri), meet and greet with our ground staff, who will unload your baggage and carry them to your hotel. Later you will be carried by palkis to Yamunotri Temple. 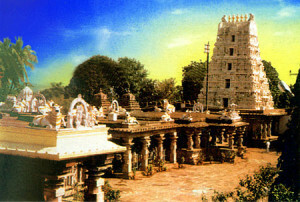 (Helipad to temple and return approx. 5.5 kms / 5.5 hrs). Normally passengers return to the helipad by lunch time and take lunch in the resort. Later go for visit shani temple in evening. Overnight at hotel. Morning depart to Yamunotri helipad and flight for Harsil at 08:30 am. Reach Harsil Helipad and depart Gangotri by Car approx 22 kms./ 1 hrs. Harsil is one of the most beautiful and picturesque valleys in Uttarakhand and some people also call it mini Switzerland. Return back to Harsil and take lunch in resort. Afternoon relax at hotel and have campfire in the evening. Evening visit the nearby village for a evening walk and purchase pure wool stuff ( sweaters , shawls n muflers ) made by local tribal womenfolk. Overnight at hotel. Morning depart to Kedarnath, flight from Harsil helipad at 10:00 am. On arrival Kedarnath helipad proceed to Temple Darshan, which is at a distance of 500 meters from the Helipad and by walk takes about 20 minutes. After darshan quickly return to helipad and transfer to Guptkashi/Sitapur. Passengers can visit Triyuginarayan temple in evening. Overnight at hotel. Morning depart for Kedarnath / Guptkashi helipad. Take Flight for Badrinath 11:00 am. On arrival Badrinath transfer to hotel, check-inn at hotel which is very close to the temple. Our ground staff will assist the passengers in taking Darshan at the temple. Later you visit to Mana village in evening is highly recommended as this is the last village before international border with China . Overnight at hotel. 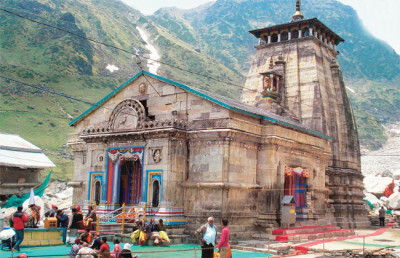 The quality of accommodation available at Yamunotri and Kedarnath is just above average and so passengers should not have very high expectations. However at Harsil and Badrinath the accommodation standard is 3 star. Only 5 Kg baggage per passenger will be permitted. Passengers are advised not to carry big suitcases as there is very small baggage space inside helicopter. Passengers bringing excess baggage might not be allowed to take the same in the chopper by pilot. 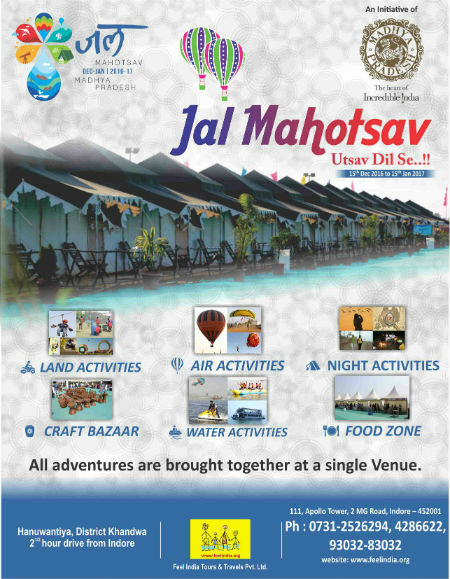 Best Season: The best season to avail the yatra on helicopter is May-June and September October. We do not operate during July-August months to rainy season. All passengers undertaking this yatra should be medically and physically fit. Although day temperatures at these locations are normal it becomes cold in the night and so passengers must carry wollen clothes with them. Above rate are exclusive all tax. Reach Delhi, Pick up from airport and depart for Agra by surface approx. 200 kms / 4 hrs. On arrival, check-inn at the hotel. Later visit local sightseeing of Agra includes The Taj Mahal, Jama Mosque, Akabar Tomb, Agra Fort and others. Overnight at the hotel. Morning after breakfast depart to visit Fatehpur Sikri 45 kms from Agra- one way, back to hotel check out from hotel and depart for Delhi surface approx 230 kms. En route visit Mathura and Vrindavan. Evening reach Delhi. Overnight at hotel. Morning after breakfast visit local sightseeing of Delhi. Afternoon depart for Mussoorie by surface approx. 345 kms / 8 hrs. Stop for breakfast & fresh & change at a hotel – self. Upon arrival check inn at the hotel. Evening arrive in Mussoorie and check in at your hotel. ( Pls. Note that there is a time restriction for the cars to enter into the city area of Mussoorie ). Evening will be at your leisure. Overnight at the hotel. Morning after breakfast depart for Joshimath by surface approx. 280 kms/ 8.5 hrs . En route , halt at Devprayag (One of the Panch Prayag of River Alaknanda where it meets with River Bhagirathi), Rudraprayag (the meeting point of River Alaknanda and River Mandakini) and Karnprayag (the confluence of Rivers Alaknanda and Pindar). As you reach Joshimath, check in at the hotel Hotel. If time and energy permits, you can explore the surroundings. The gateway to Hem Kund and Badrinath, Joshimath receives a huge number of Sikh and Hindu between May and October. It is also the base for a number of popular treks such as Kuari Pass Trek and Valley of Flower trek. Overnight at the hotel. Morning after breakfast, depart for Auli 16 km. 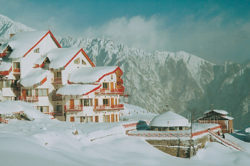 Lying between the altitude range of 2500 m to2050 m, Auli is one of premier Skiing Resort in India. If you do not wish to travel by road, the other option is to take the 3.9 km cable car ride. 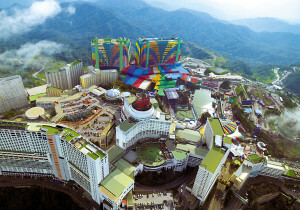 The longest cable car ride in Asia, it takes you to a scenic Ski resort. On the way, treat your eyes to the mesmerizing views of the surroundings. On arriving, complete the check-in. Later on, you can enjoy Skiing on the slopes of Auli with the assistance of the resort’s instructors. The day is going to be an exciting one. Overnight at the hotel. You can partake in Skiing at Auli, on a full board basis. Skiing equipment will be made available to you. If you are a beginner, you are going to get full assistance. The ski slopes offer a panoramic view of high Himalayan peaks including Nanda Devi, 7818 m. A 500 m long ski-lift and an 800 m long chair-lift connect the upper and lower snow slopes of Auli. You can visit Gurso Bugyal, a picturesque location from where you get to enjoy magnificent views of Trishul Peak, Dron Parvat and Nanda Devi adding on to its beauty is the green surrounding that makes it look more enthralling. Within close vicinity, lies Chattrakund, a pristine lake that is known for its crystal clear blue waters. It is also an ideal picnic spot for those who love nature and its silence. Another important attraction you may visit in Auli is Auli Artificial Lake which is one of the highest man-made lakes in the World. Surrounded by mighty peaks of Himalayas, the lake was developed by government to produce artificial snow. Overnight at the hotel. After breakfast, visit local sightseeing of Rishikesh including Ram Jhula- a popular landmark erected in 1986, this iron suspension bridge over River Ganges is placed at Muni ki Reti; Laxman Jhula- another iron bridge over the Ganges, it is 450 feet in length; Triveni Ghat- the confluence of holy Rivers Ganga, Yamuna and Saraswati, it is also a revered bathing spot; Parmarth Niketan Ashram- founded in 1942 by Pujya Swami Shukdevanandji Maharaj, it is placed on the banks of the Ganges; Sivananda Ashram- another popular ashram offering Yoga and Meditation along with propounding a simple way of life; and Gita Kutir Tapovan Ashram- founded in 1974 by Sri Gita Nand ji Maharaj- the ashram works for social welfare of saints, yogis and monks. Thereafter, start driving Delhi. Get transferred to the airport/railway station for your onward journey. The beauty of elephant beach starts with the speed boat ride that takes you to this heavenly beach. There are numerous activities which are conducted in this exotic beach with white sand and crystal clear water. Snorkeling, glass bottom boat, Sea walk, scuba diving, jet ski, banana ride etc are some of the main attractions of elephant beach . Note: Activity on direct payment basis.stay at respective Neil islands resort. Night Stay at Vacation Village in Neil. After breakfast , Check out from Hotel . Visit the visit Laxmanpur Beach / Coral Point + Overnight stay at respective Neil islands resort.. And return from Neil Island to Port Blair in the evening, overnight stay at Port Blair in respective hotel. After breakfast leave for full Day Phi Phi Island with Lunch Tour. Overnight at the hotel. After breakfast leave for full Day James Bond Island with Lunch Tour.. Overnight at the hotel. After Breakfast transfer to airport take a flight from Phuket at 11:25 Am Reach BKK at 12:25 Pm. Pick up from Airport & Proceed for Pattaya. On Arrival Check inn hotel. Day free at your leisure. Evening Visit Alcazar Show. Overnight at the hotel. After breakfast full day free for your own Activities & Overnight at hotel. After Breakfast check out from Hotel. 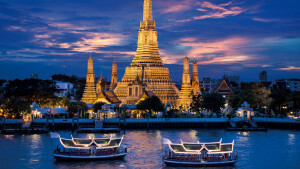 & vsit BKK city Tour. After transfer to Bangkok airport. Package valid till 31ST DECEMBER 2017. High Season Surcharges Applicable during Christmas Eve & New Year’s Eve. 1 USD = INR 65. The prevailing Rate of Exchange of the day of payment will be applicable. Moring after breakfast leave for Darshan at Temple of Mallika Arjun Jyotirlinga. Later leave for Hyderabad by road surface approx 220kms/ 5 hrs. Evening reach Hyderabad. Overnight stay at hotel.